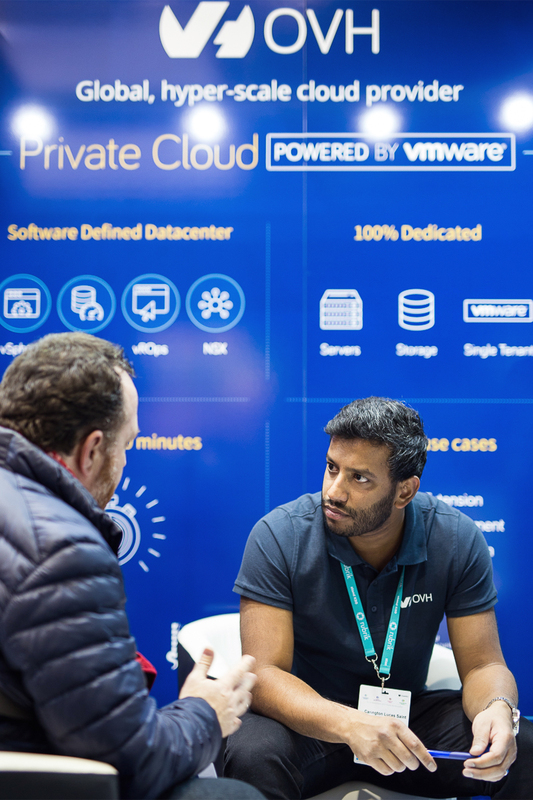 It’s been a busy year for OVH since the 2017 Cloud Expo in Paris, especially with the launch of our first datacentre in the UK. Suffice to say, the decision to attend this year's Cloud Expo in London wasn't a hard one! On the 21st and 22nd of March, we’ll be joining more than 600 industry experts and thousands of representatives from forward-thinking organisations to explore the way the cloud is transforming modern IT and the way we do business on the global stage. Our Founder and CEO, Octave Klaba, will be acting as keynote speaker, offering his thoughts on “Driving Success in Hybrid Cloud”. Octave will also be personally leading a hands-on user group session on the 21st, where he’ll be discussing the importance of the UK for OVH’s long-term strategy and taking feedback and suggestions from attendees. This is a unique opportunity to meet the founder of Europe’s leading cloud services provider face-to-face and to discuss the evolution of cloud computing over a drink. Russell P. Reeder, President and CEO of OVH US, will be participating in the Super Providers panel, alongside Lee James of Rackspace and Rene Bostic of IBM Cloud. This intensive discussion will see these three cloud industry leaders debate the future of the digital landscape. Xavier Perret, our Chief Digital and Marketing Officer, will be speaking about OVH’s cloud proposition, with a particular focus on power and responsibility in the IT sector. Pascal Jaillon, VP of Product Management at OVH US, will be taking an in-depth look at the building blocks of successful, risk-averse cloud migrations. Remy Vandepoel, OVH Systems Architect and Technical Evangelist, will be exploring the different cloud options available for today’s organisations – perfect if you’re unsure which cloud is right for you. Chris Brookes, our Senior System Engineer will be considering the value of a stable, consistent infrastructure for companies at all levels, and how this can best be achieved. Whether you’re just curious and would like a quick overview of what we do, or are ready to dive deep into what our cloud solutions can offer you, our team will be on hand to help. By popular demand, we’ll even be bringing back the OVH Motorbike Simulator, and will be offering prizes for the best riders! Even if you can’t make it, be sure to follow us on Twitter, as our team will be live-tweeting throughout the whole event. Places are free, but are strictly limited and filling up fast, so book yours now to avoid disappointment. We’re looking forward to meeting you.